The region encompassing the Himalaya-Hindu Kush mountain range and the Tibetan Plateau in Central Asia is referred as the ‘Third Pole’ because it has the largest ice storehouse after north and south poles. Disturbing global warming trends have become evident in this equally remote polar region covering 100,000 sq km with some 46,000 glaciers. Recent findings suggest that temperatures there have increased by 1.5 °C in the last 50 years and it is more than double the global average. How important is the Third Pole? According to a rough estimate, the water that flows from the Third Pole directly supports 120 million people through irrigation systems. About 1.3 billion (one-fifth of the world’s population) people indirectly benefit through river basins in China, India, Nepal, Pakistan and Afghanistan. This polar region is where 10 of Asia’s largest rivers, including the Yellow and Yangtze river (China), the Irrawaddy (Myanmar), the Ganges and the Mekong have their origin. Like Arctic and Antarctic, the Third Pole is also sensitive to global warming. According to Qin Xiang, one of the first scientists to gather data from this region, the rate at which the glaciers are melting has almost doubled since 2005. His research reveals that over 509 small glaciers disappeared in the past 50 years and even the biggest ones are shrinking rapidly. According to Xiang, 226 glaciers in China’s Tiger Valley region have lost 27 sq km of ice in the past 48 years. In the wider area of the Qilian Mountains—home to 2,684 glaciers—the impact has been catastrophic. As one of the noted glaciologists in the world, Xiang has been studying the pattern of climate change from a remote research station on the Qinghai Tibetan Plateau since 2005. His team's research shows that the melting of glacier is happening much faster than anticipated. 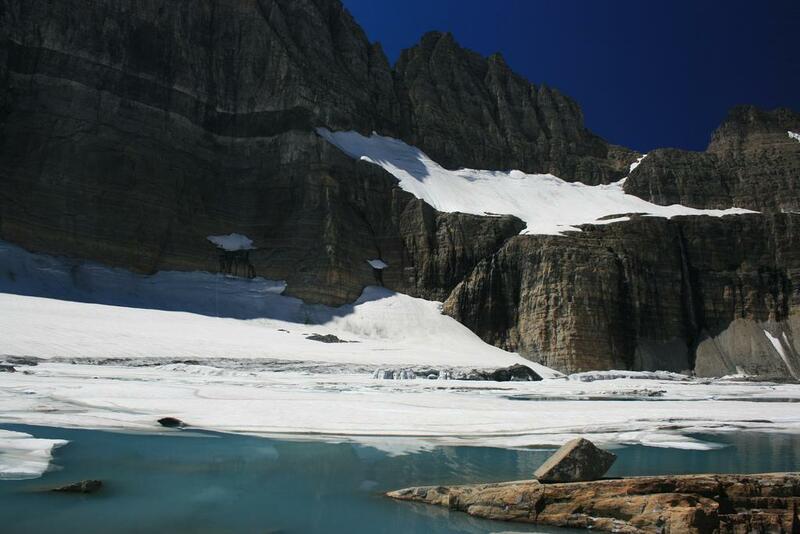 The team has been assessing the extent of glacier melt by monitoring the speed and depth of water flow at the same positions downstream for 50 years. "Compared with the river discharge in 1959, we found the volume of the melting of glaciers has nearly doubled," says Xiang. One of the reasons for accelerated melting is the temperature that has been increasing at a much faster rate in the Qinghai Tibetan Plateau. Other than temperature, dust and pollution from car exhausts and coal burners are also triggering climate change impact. Black carbon particles and dust settle on the glaciers, causing it to absorb the sun and heat, unlike the white ice that reflects them away. How early it will be before the region starts facing scarcity of freshwater? That’s now a main concern for researchers. Melting of vast stores of permafrost does threaten water security. While initially, more water is expected to flow into river basins, causing floods, eventually, those rivers will dry up, resulting in drought and desertification. It could be devastating for 1.3 billion people who depend on its water. While glacial melt can lead to a string of climate disasters like the recent floods in China, or increasing desertification, a deeper concern is the impact of the changes in the Third Pole on global weather patterns such as monsoons and the El Nino. In a region where countries have a history of dispute over sharing water resources, environmental threat could spark a political conflict. Reduction in greenhouse gases and black soot emissions can only prevent the glaciers in Third Pole from disappearing further. But the countries need to do more to avert a potential crisis. According to Xiang, there should be more coordination between scientists around the region. It is not as easy as it sounds since countries in the region are often in conflict. Mapping of potential risks is should be taken up as a priority as that could serve as a planning tool for researchers working on the Third Pole. IPCC pronounced in its AR4 Report stating that the Himalayan Glaciers will melt by 2035. Same way Al Gore concluded that Greenland will be ice free in five years. When we questioned UN Secretary General through a letter the veracity on such pronouncements in 2009, these conclusions were withdrawn but only after they received Noble Prize. Government informed to Indian Parliament after Paris meet in 2015 that 86.6% of 2181 of Himalayan Glaciers are not receding.